Postponed due to weather. A new date will be posted as soon as we have made those arrangements. 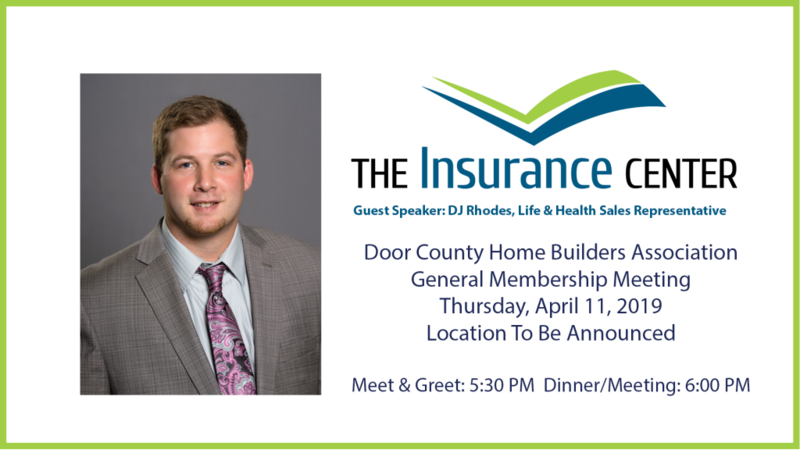 April 11, 2019 | General Membership Meeting | Meet & Greet 5:30 p.m. Dinner/Meeting: 6 p.m.
DJ Rhodes from The Insurance Center in Green Bay will be our guest speaker for the April 11, 2019 General Membership meeting. DJ will be discussing the new WBA Association Health Plan in conjunction with The Insurance Center of Wisconsin and underwritten by WPS Health Insurance, exclusive to WBA members.